I don’t think I would make a great storm chaser. You know one of those guys that carries a camera and drives at breakneck speed towards the nearest tornado. I don’t think so because i have not had the best outing as I chase comet Panstarrs in the sky above Tracy. At least my photo efforts haven’t been it total vain. Monday’s comet hunt yielded some gorgeous sunset pictures while tonights was about the night sky. There is something unsettling to be standing on a narrow two lane country lane in the dark with coyotes barking all around you. 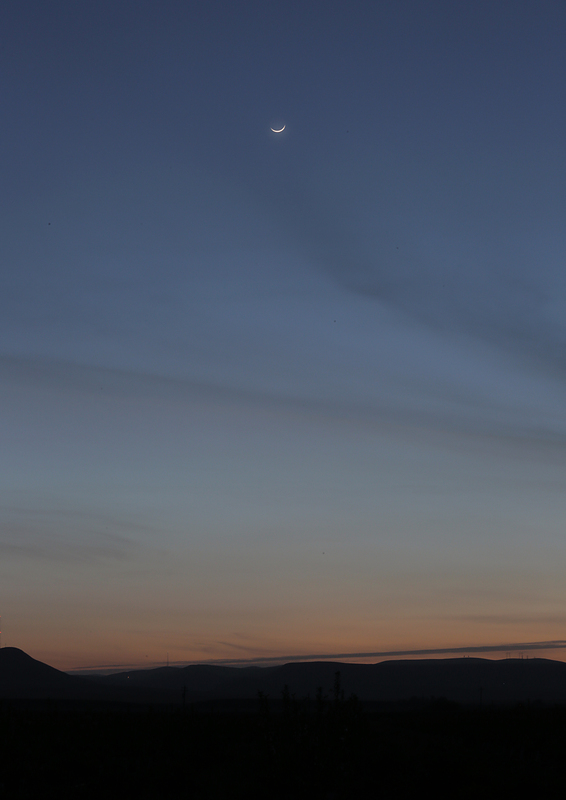 Kind of creepy but the view was impressive as the new moon rose above the last glimpse of the setting sun. The sky slowly turned from pale blue to the deep indigo before the dark enveloped the sky. 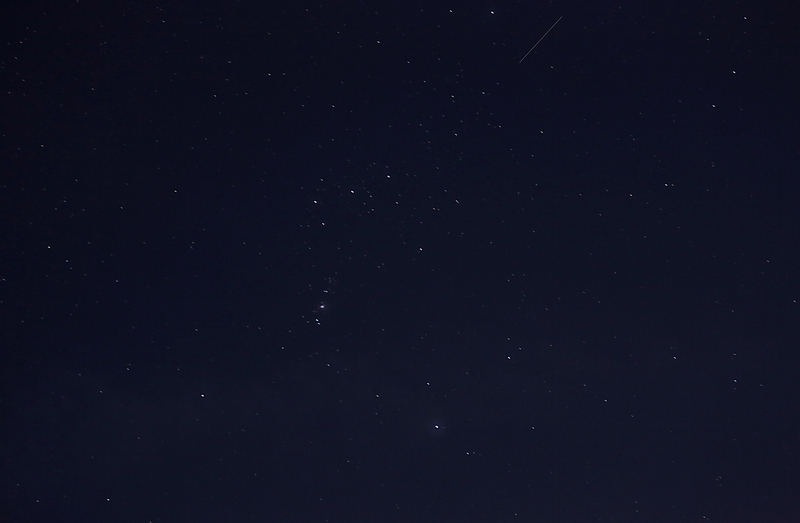 I was at a pretty remote spot and a lack of light pollution actually gave me a good view of the stars emerging. 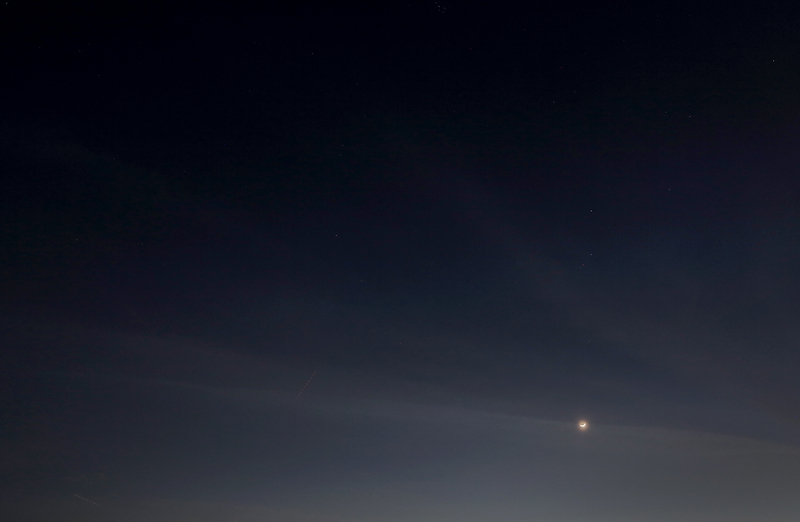 I switched between my 70-200mm f.4 zoom and 24-70 f.2.8 zoom to shoot the sky with some short time exposures. Anything too long and I could see the motion blur in the star trails. 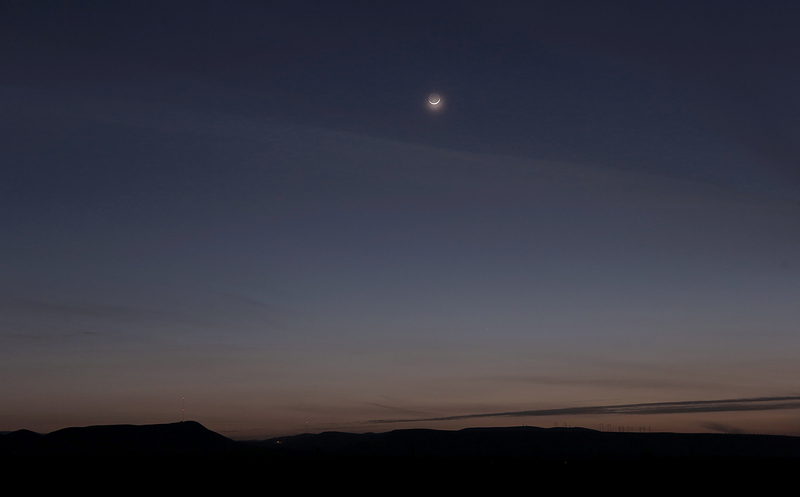 The new moon growing bright as it hung in the western sky was a good subject as it approached moonset. 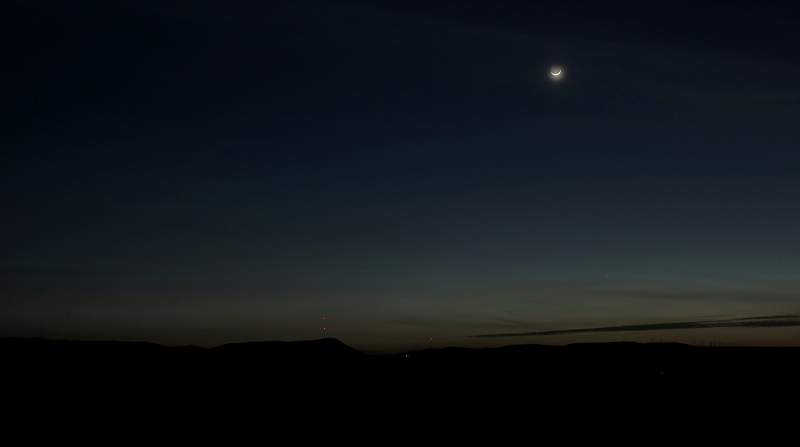 The last vestiges of dusk slowly slipped away leaving the countryside dark under the crescent moon. I may try one more time to capture this elusive comet, it’s ok I don’t there is a bigger and better comet approach for a November 2013 show. Hopefully I will have better luck then or at least get some more pretty pictures on my hunt.